What kind of lifestyle shirt is your life missing? Over at the SkoolieLove Store, we have been super busy working on new shirt and mug designs. 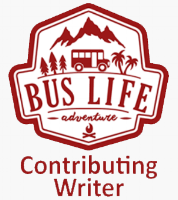 At the moment, we are focusing mostly on Bus Life, Tiny Living and Nature themes. What kinds of designs, shirts or items are you guys interested seeing in the future? I am all ears for new and great ideas. Check out the NEWEST Unisex, Women, and Children's Tees and Tanks.